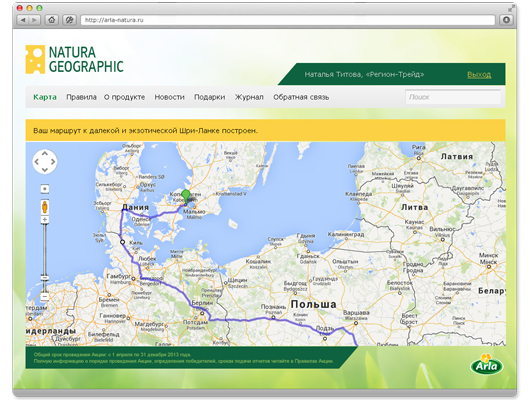 Web application design for a motivation programme for distributors. Participants checked points of their success and watched after their competitors progress on a map. The team reaching the destination first won a real trip.